You might think what happens in Vegas stays in Vegas, but sometimes, that’s just not true. Earlier this week, Fiat Chrysler dealers from across the country gathered at a meeting in Las Vegas to catch a glimpse of FCA US’s newest products and now, we know just what to expect from Dodge in the future. According to Automotive News, Fiat Chrysler brought a slew of new models for the dealers to check out. 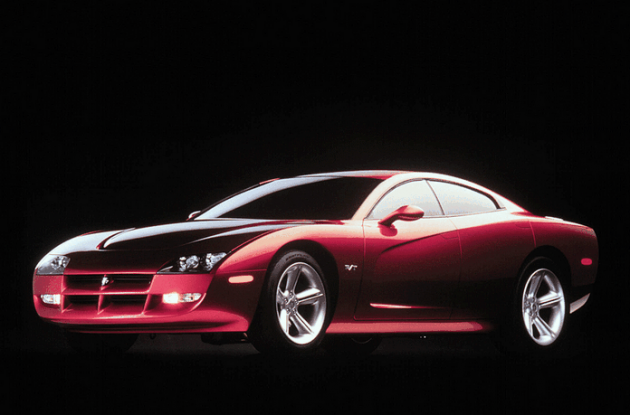 Among them was the next-generation Dodge Charger. The new Charger will share a platform with the 1999 Charger concept, which you can see in the above picture. It will also offer a similar flexible rear-wheel-drive platform to the newly reintroduced Alfa Romeo Giulia, which debuted in June. Several dealers that attended the closed meeting learned that they would see as many as 30 new or refreshed products on their lots within the next two years. With that type of change, it comes as no surprise that Dodge is continuing to increase its sales. Along with the new Dodge Charger, the brand’s future also holds a Dodge Barracuda convertible, the next-generation Jeep Wrangler, and a Jeep Wagoneer luxury SUV.